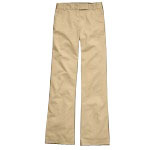 Heritage Pant: 100% Cotton 8.50 oz. 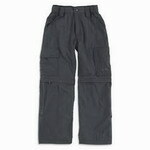 Nylon Zip-Off Pant: 100% Nylon 3.65 oz. Eight Pocket Hiker Shorts: 100% Cotton 8.00 oz. Newport Shorts: 100% Cotton 8.50 oz. 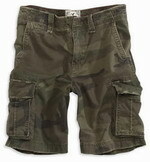 Surplus Cargo Shorts: 100% Cotton, Enzyme Wash 8.50 oz. 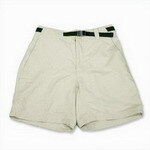 Trekker Shorts: 100% Cotton, 6.00 oz.